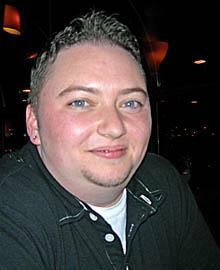 In this exclusive audio interview Emmy Winner Charlotte Robinson host of OUTTAKE VOICES™ talks with Gunner Scott, Executive Director of the Massachusetts Transgender Political Coalition who has been involved with the transgender rights movement since 1998. He's a nationally recognized activist and was one of the attendees at Obama’s 2010 LGBT Event at the White House. The Massachusetts Transgender Political Coalition called on the leadership of the Massachusetts State legislature to act favorably on H1728/S1687, “An Act Relative to Gender Based Discrimination and Hate Crimes” before the end of the current session on July 31st, 2010. “This bill is for fair and basic treatment of transgender youth and adults,” said Scott. “This bill is about human rights and dignity for those who are contributing to society or trying to, including paying taxes, but are often being denied access, opportunity, and justice.” Over eighty organizational members of the Transgender Civil Rights Coalition, including labor unions, LGBT groups, women’s groups and advocacy groups all called on the legislative body to pass this bill. UPDATE: The Trans Civil Rights Bill – did not make it to the floor for a vote this session. Everyone has people in their lives that are gay, lesbian or transgender or bisexual. They may not want to admit it, but I guarantee they know somebody.